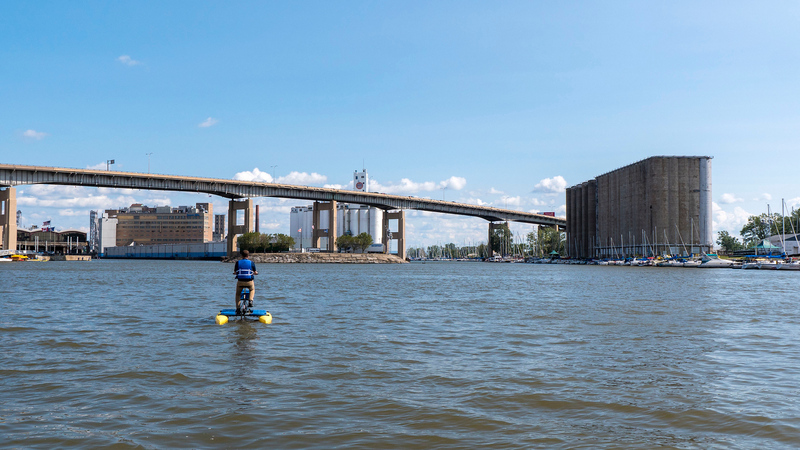 Discover Buffalo…before everyone else does! Growing up in Ontario, I’ve always been just a hop and a jump away from the Canada/USA border. When thinking about Buffalo, a few images used to come to mind. First, I’d imagine mountains and mountains of snow. We received one Western New York TV station when I was growing up. During the winter months, it seemed as though the citizens of Buffalo were continually digging themselves out of a treacherous amount of the white stuff. I’d be in complete disbelief as a child when we didn’t have any snow, yet those in Buffalo were buried in it (of course, this meant there was no snow day for us!). Next up: it’s the two reasons why Canadians generally cross the border into Buffalo. It’s either for shopping or for hockey games. Toronto Maple Leafs tickets are insanely expensive, so many hockey fans flock to Buffalo for a Leafs game. And with the Walden Galleria and other retail outlets, Buffalo is a haven for cross border shoppers. Have you ever visited a city that was quite different from your original perception? As a travel blogger, I love to dig deeper and look beyond my initial perceptions of a place. What are the most interesting places to go and things to discover? What makes the locals love where they live? Buffalo is so much more than just snow, shopping, and sports. The city is undergoing a massive revitalization, with new businesses and community spaces opening at a quick pace. When Justin and I visited, we stayed in two brand new hotels and caught a sneak peak of a unique restaurant on the verge of opening. There’s such a buzz in the city as it continues to change by the moment. Justin and I only spent two full days in Buffalo, and we were already discussing our return…while we were still there! Needless to say, Buffalo surprised us. We were wowed and enchanted by the city. While it’s very exciting for the locals, Buffalo’s rebirth provides new reasons for tourists to travel there. With so many attractions and activities completely unique to the city, Buffalo is a destination to add to your bucket list. Here are some travel ideas to get you started. We did everything here over two summer days, although most of these attractions can be explored all year long. Our trip to Buffalo began and ended with cycling. The first instance of cycling isn’t what you could ever imagine. We rented water bikes from Water Bikes of Buffalo. It’s essentially a bicycle on top of a floating platform that enables you to glide across the water. Justin and I pedaled down the canal on our water bikes, admiring the scenery as we embraced the slight waves caused by passing boats. It’s not only an original activity to try, but the scenery is truly one of a kind. 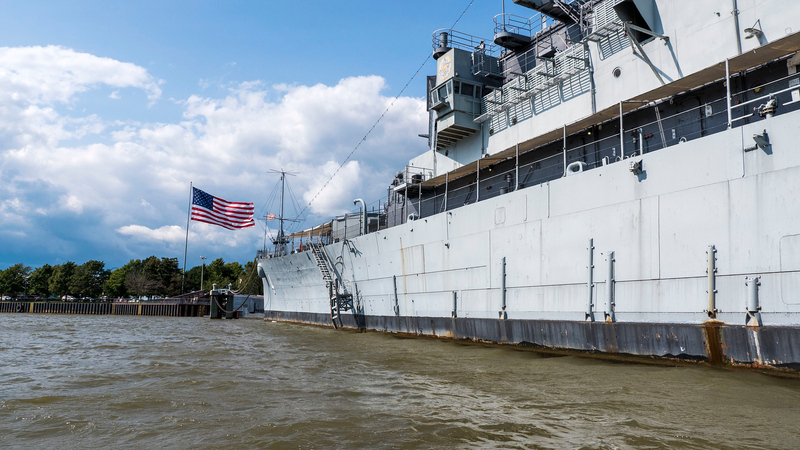 Drift past old grain elevators, a giant naval ship, and even out towards a lighthouse along the shores of Lake Erie. 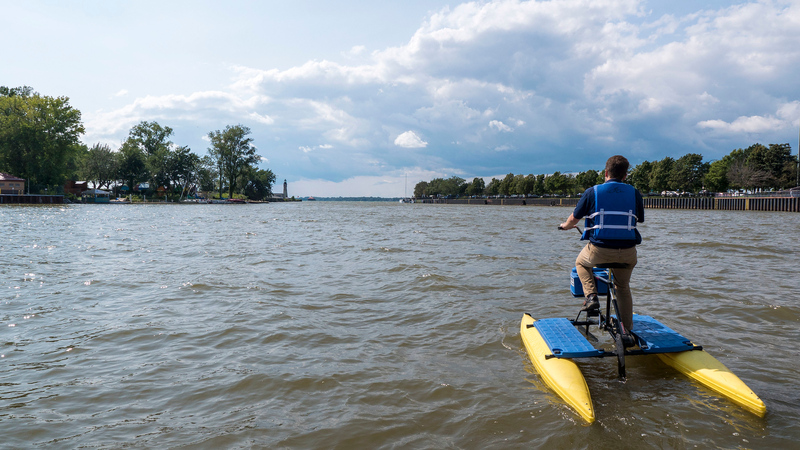 Water bikes are rented out by the hour during the summer months. 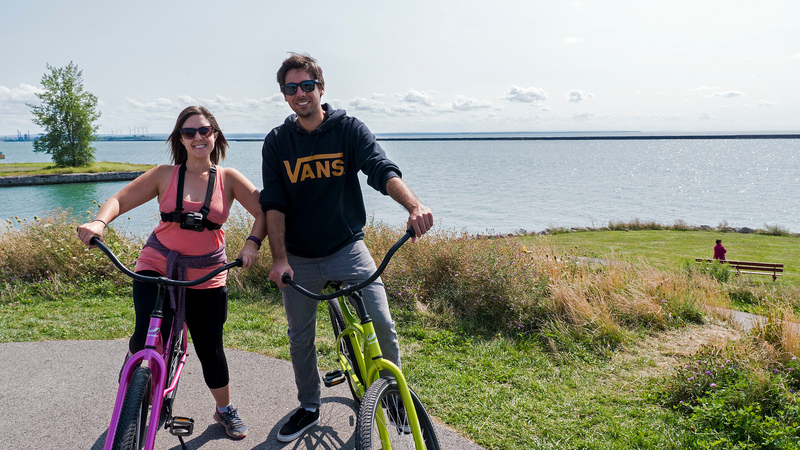 Although we didn’t try it, there are even tandem water bikes – just in case you’re interested in trying to make your partner do all the legwork (just kidding!). 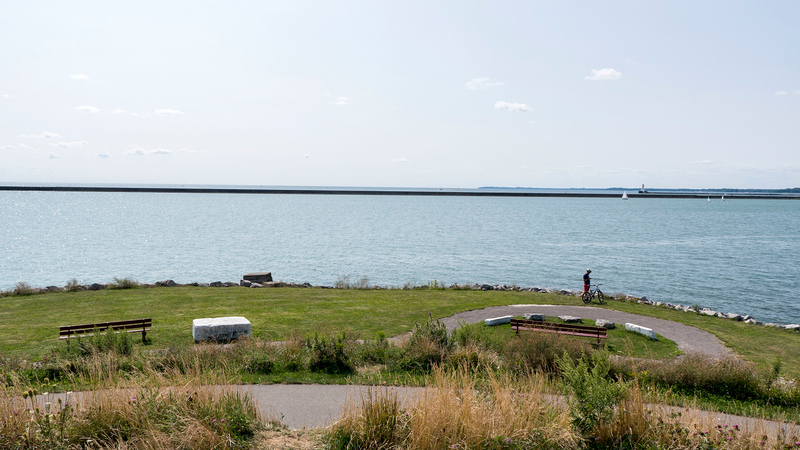 With a revitalized waterfront and lengthy paved paths, going for a bike ride is an excellent way to savour stunning views of Lake Erie. 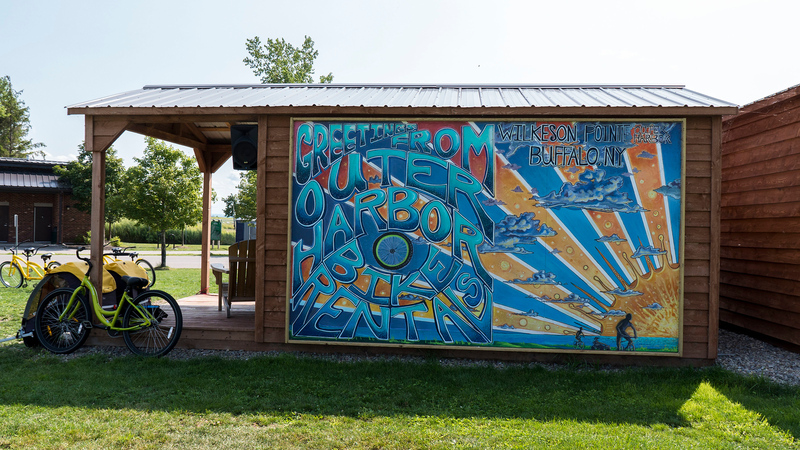 You can rent bikes by the hour from Outer Harbor Bike Rentals to explore urban trails, nature preserves, and marinas. 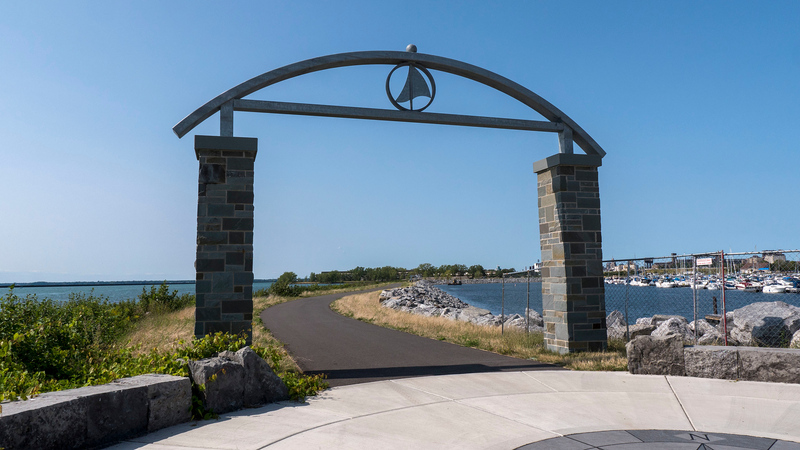 Buffalo’s Outer Harbor connects with other local trail systems, and there’s even a bike ferry to help you get around town. Justin and I discovered Wilkeson Pointe, a hill topped with wind sculptures that has sweeping views of Lake Erie and the Buffalo skyline. 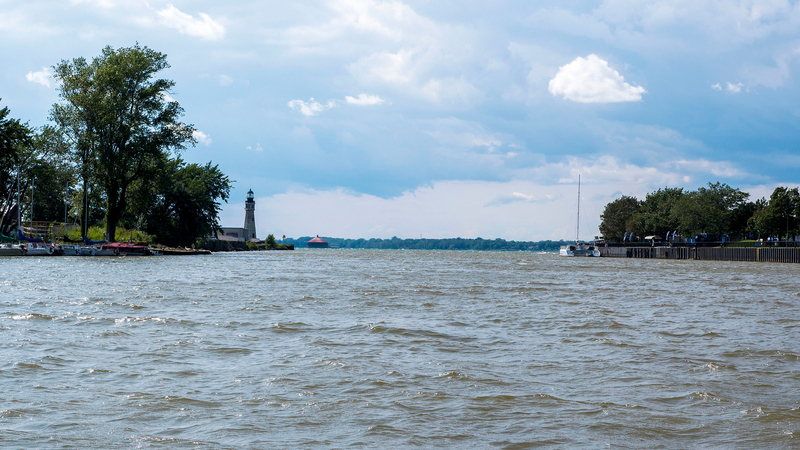 We continued our journey towards Buffalo Harbor State Park, a green space where you can watch the boats sail by. We haven’t tried this one (yet) as it’s a winter activity. Yes, you can go “ice biking” in Buffalo! It’s a bicycle outfitted to be maneuvered across ice. With lots of snowy conditions, may as well make the best of them! Check out Ice Bikes of Buffalo for more information. Buffalo is a city famous for its architecture. The buildings designed here were a new form of American architecture and influenced new designs throughout the world. 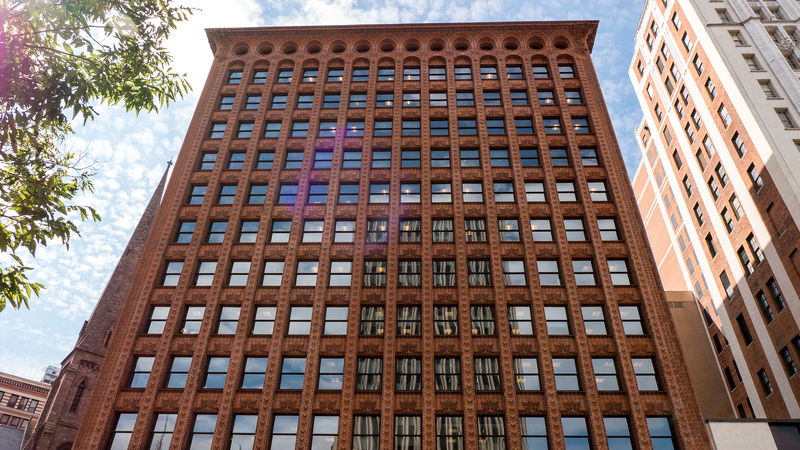 There are buildings here produced by famous architects, such as Frank Lloyd Wright, Louis Sullivan, and H.H. Richardson. 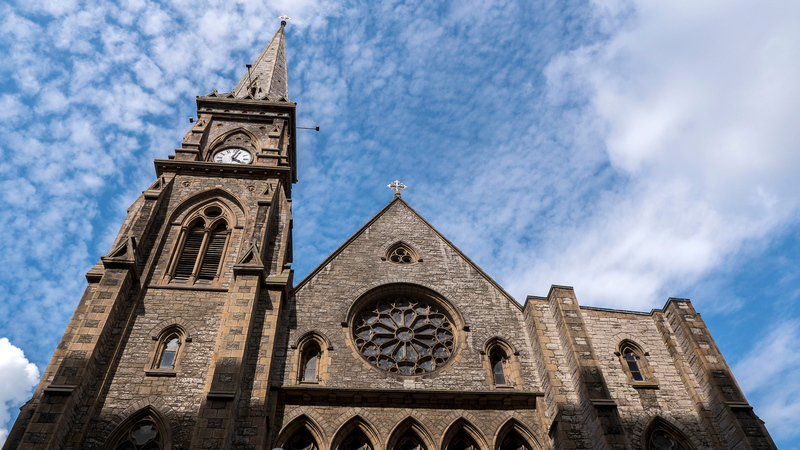 Although you can wander around and explore the buildings on your own, it’s best to join a tour so you can learn from an expert. 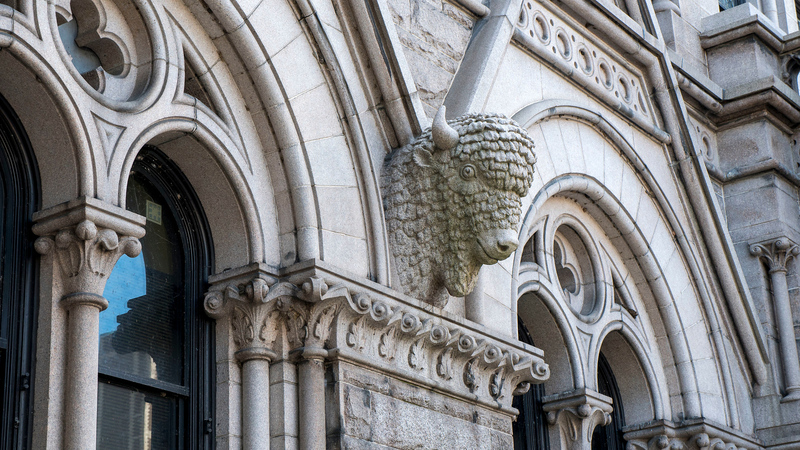 Taking a walking tour is the best way to familiarize yourself with the architecture in downtown Buffalo. 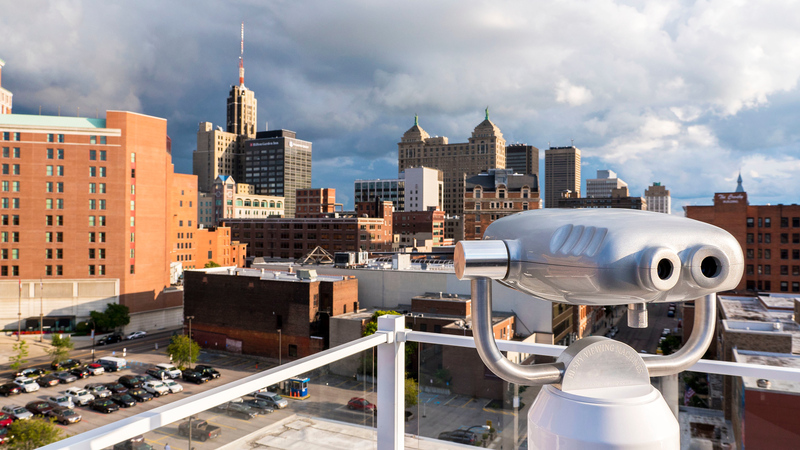 Explore Buffalo operates their Masters of American Architecture tour several times a week. You don’t even need to make a reservation ahead of time – just show up! Our guide was knowledgeable, friendly, and answered any questions that we had. We mostly wandered around outdoors, although we did venture inside a few of the buildings to see various interior architectural styles. 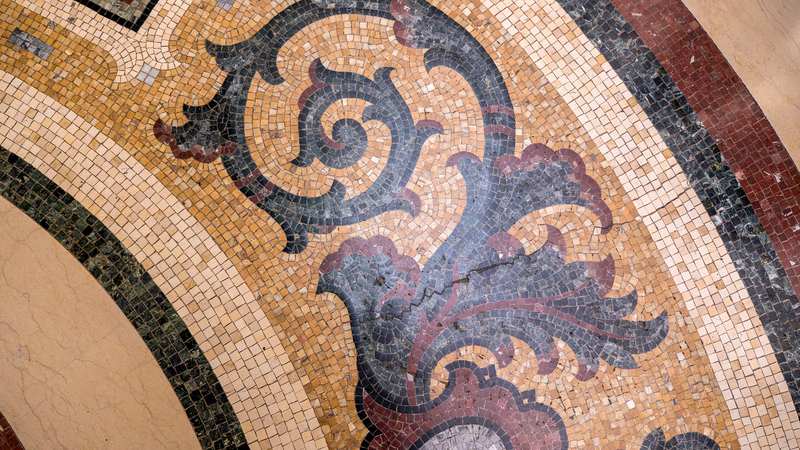 Along the way, we examined and admired several prominent buildings, including the Guaranty Building, the Old Post Office, the Ellicott Square Building, and St. Paul’s Cathedral. Notably, Hotel Lafayette was designed by Louise Blanchard Bethune, the first known female architect in the United States. The tour lasts approximately two hours and costs $15 per person. It was not only a great way to see the brilliant architectural gems around Buffalo, but it really helped us to familiarize ourselves with the city. 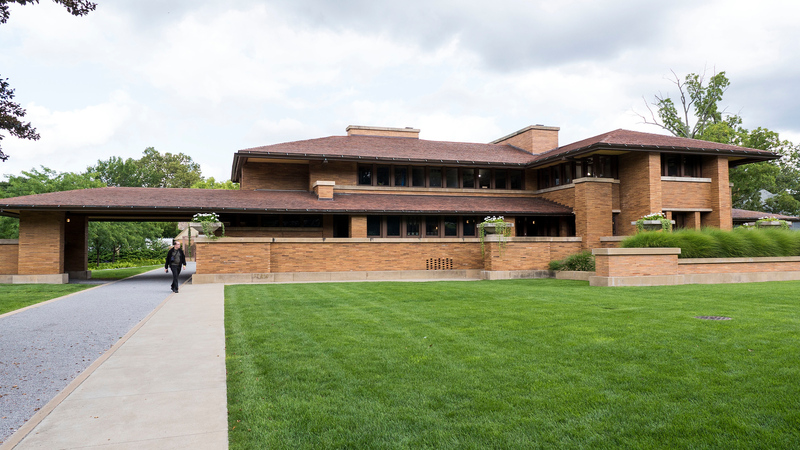 For fans of architecture, one excellent reason to travel to Buffalo is to witness Frank Lloyd Wright’s masterful project, the Darwin D. Martin House. 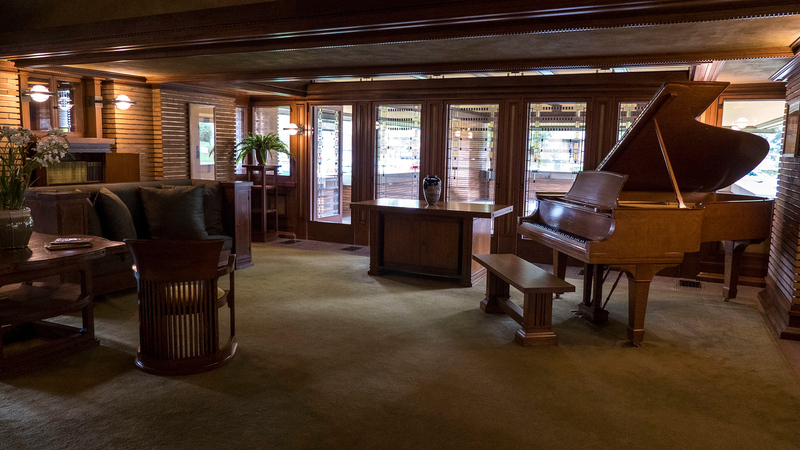 This home was built in the early 1900s, and it’s considered to be one of his greatest works. Every detail of this large Prairie home was carefully planned, including every piece of furniture. There are six connected buildings in total, including a long pergola that leads to a conservatory. 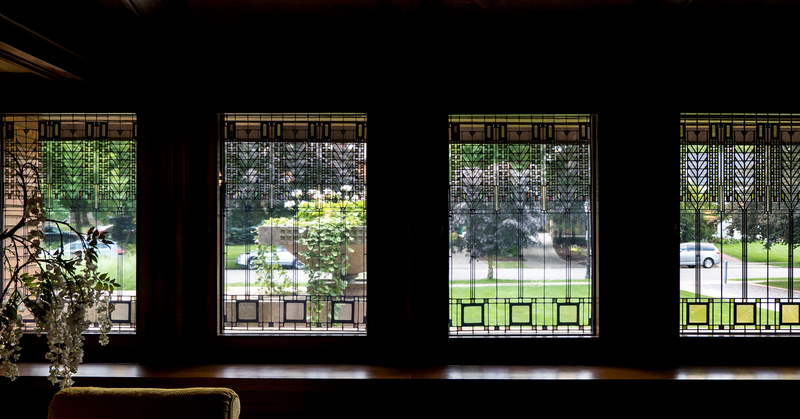 The house contains nearly 400 examples of Frank Lloyd Wright’s originally designed art glass, including the “Tree of Life” window. While the home surprisingly sat abandoned and empty for many years, it became damaged and some buildings were completely destroyed. Thankfully, it’s been restored to its earlier glory. In 1986, the Martin House Complex was declared a National Historic Landmark. We’ve never visited a home quite like this one. Justin and I really enjoyed exploring this site and learning all about its history. Whether you’re a fan of architecture or just a little bit curious, it’s well worth spending an hour or two walking around the Martin House Complex. The microbrewery scene is alive and well in Buffalo. Many of these breweries have unique elements and stories. You simply must sample as many varieties of beer as you can while you’re visiting. 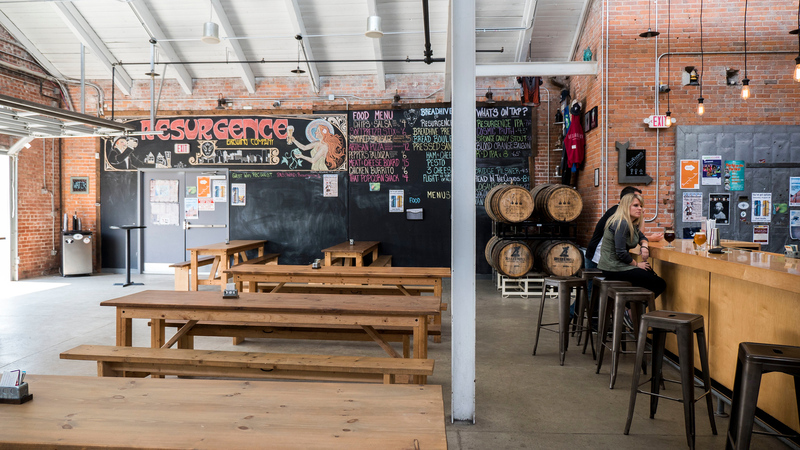 UPDATE: Check out our guide to Buffalo breweries, featuring even more breweries than originally listed here! 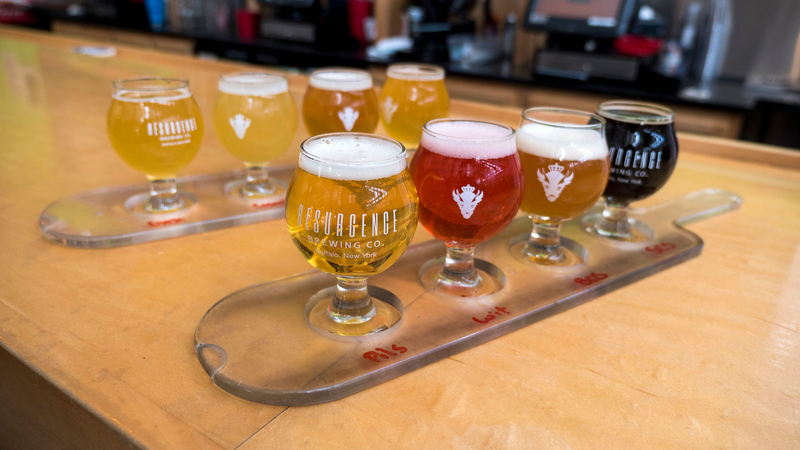 Resurgence Brewing Company features a taproom and a large beer garden on site. 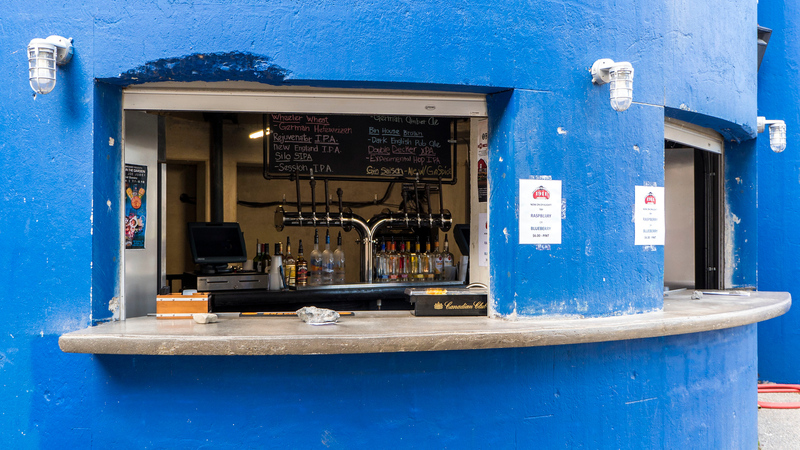 They offer many rotating styles of beer, as well as a few favourites that are always available. You’ll always find their signature Resurgence IPA at the brewery. Also on tap, the Sponge Candy Stout and Loganberry Wit are original classics at the brewery. Resurgence’s name is quite fitting. After the brewery opened, the neighbourhood continues to experience a resurgence in life. It’s even a metaphor for Buffalo as a whole as it undergoes many positive changes. It’s the first brewery in the world to operate inside a grain silo. 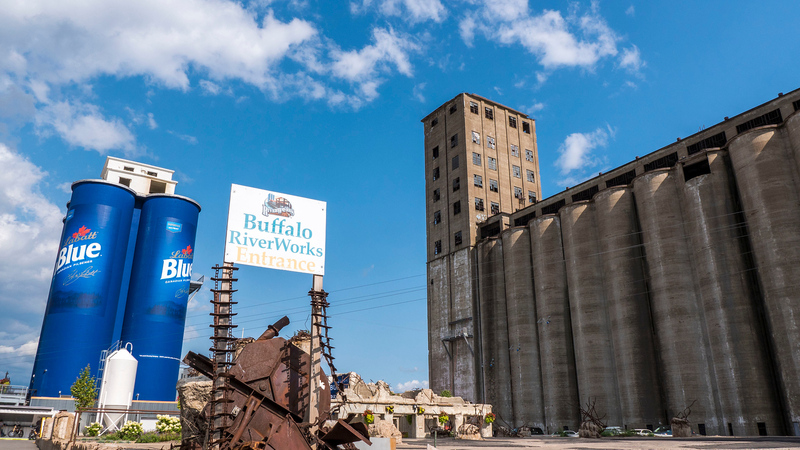 Although branded on the exterior as a Labatt Blue silo, Riverworks brews the beer inside the silo and serves it up at the base of it (the Silo Bar). 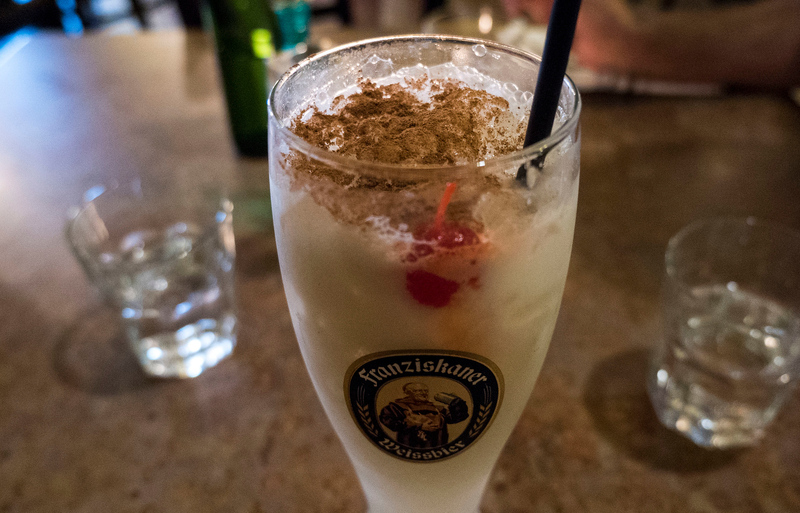 We sampled the Wheeler Wheat (a traditional German Hefeweizen brewed with wheat and barley), and it was super refreshing. Riverworks also finds a second interesting way to utilize the old grain silos. 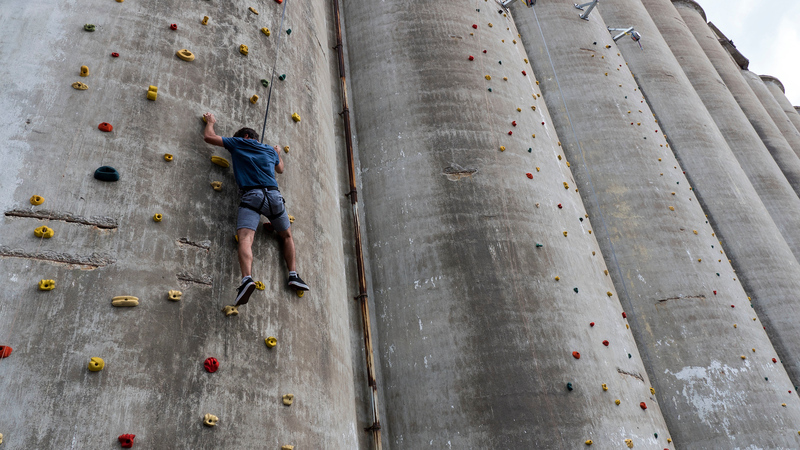 There is a rock climbing all on the outside of one set of silos, with one going as high as 50 feet. Justin and I tried climbing the silos – before we drank the beer, of course! It was quite windy that afternoon, on the verge of raining. It made the climb a little scarier and certainly more challenging! While you’ll likely be busy all day when you travel to Buffalo, save some energy for the evening. 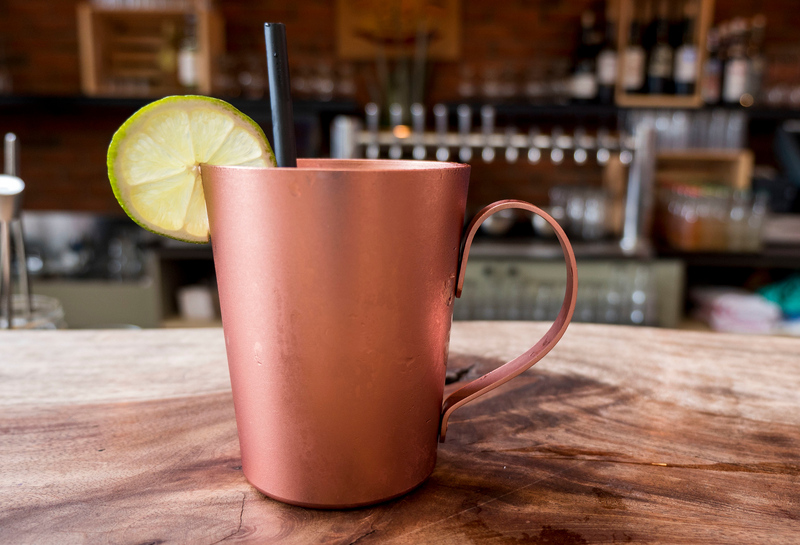 Buffalo has a happening nightlife scene, with several places to hang out and meet new people. The people of Buffalo are quite friendly and take pride in their community, so you’ll likely make some new friends while you’re there. Here are a few nightlife hot spots around town. While Larkin Square is open all day long, there are plenty of nighttime activities to check out. 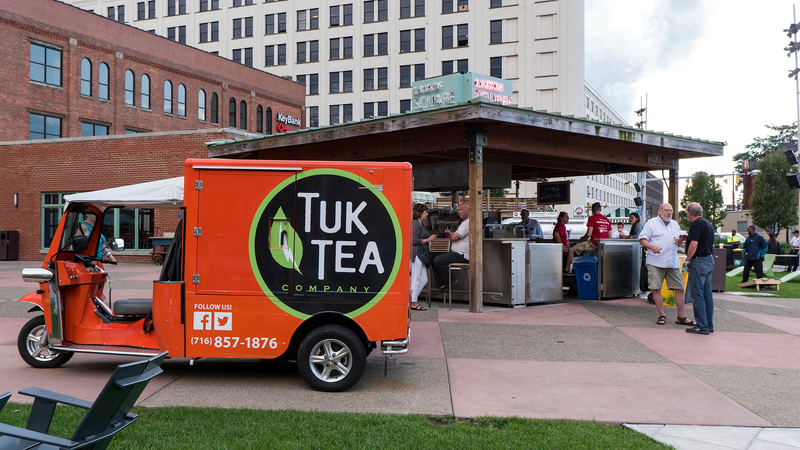 Food Truck Tuesdays runs every week from 5pm – 8pm, giving you the fuel you need for a random Tuesday night on the town. During the summer months, there’s a live concert series every Wednesday night. At least two bands perform live, playing their original tunes. Pop over to Hydraulic Hearth if you’re looking for brick oven pizzas or tantalizing specialty cocktails. The Colored Musicians Club is the only remaining and longest continually operating African American Musicians Club in the United States. Back in early 1900s, the musicians union in Buffalo refused to allow African Americans to join. A separate union was formed, and a social club developed one year later. Members of the social club spent time there after work, using it as a practice space for band rehearsals. 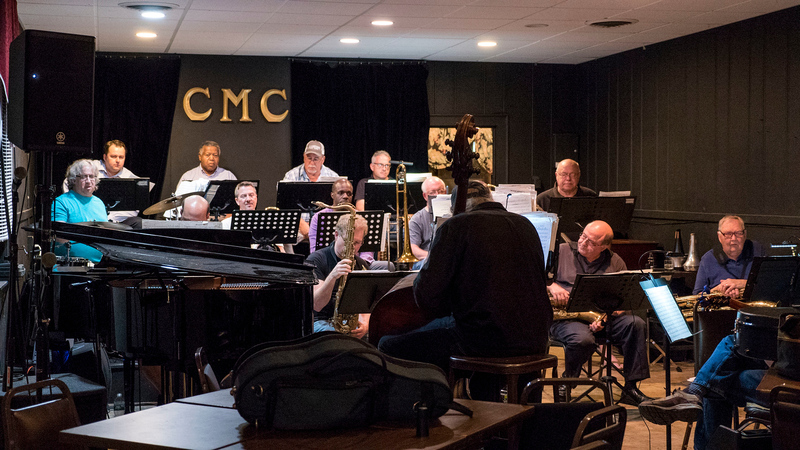 Eventually, the Colored Musicians Club found a permanent home, and this provided members with a sense of community. 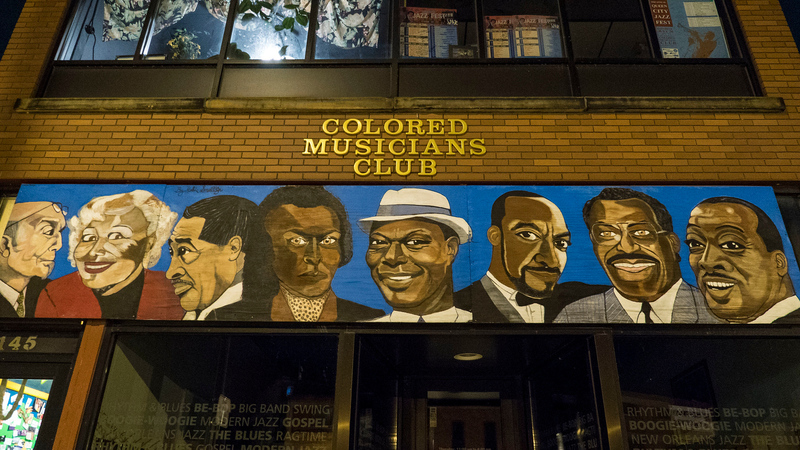 Many jazz legends passed through the Colored Musicians Club, like Count Basie, Duke Ellington, Billie Holiday, and Ella Fitzgerald. Today, the club promotes the preservation of jazz in Buffalo, as well as detailing the history of jazz through its museum. 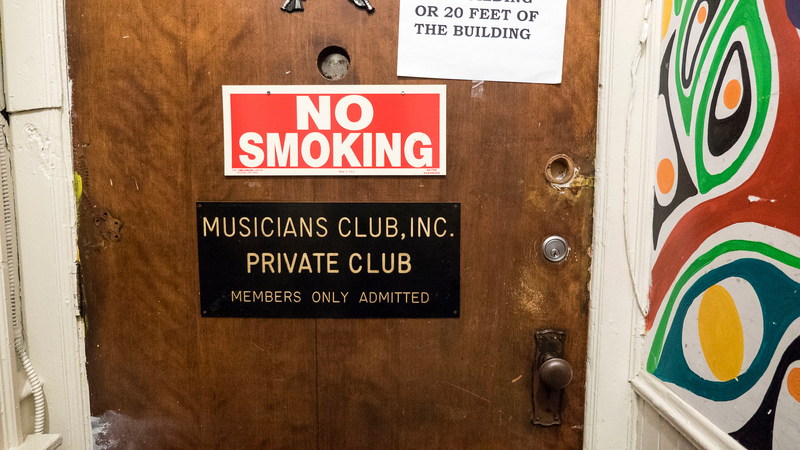 The Colored Musicians Club museum provides an educational and entertaining experience for people of all ages. It’s open during the day from Thursday to Saturday (11:00 – 4:00pm). In terms of nightlife, you can hear live music on Sundays, Mondays, and Thursdays. All event information is available on their website. Whether it’s a concert or a jam session, you must head here for an evening of jazz by talented musicians. 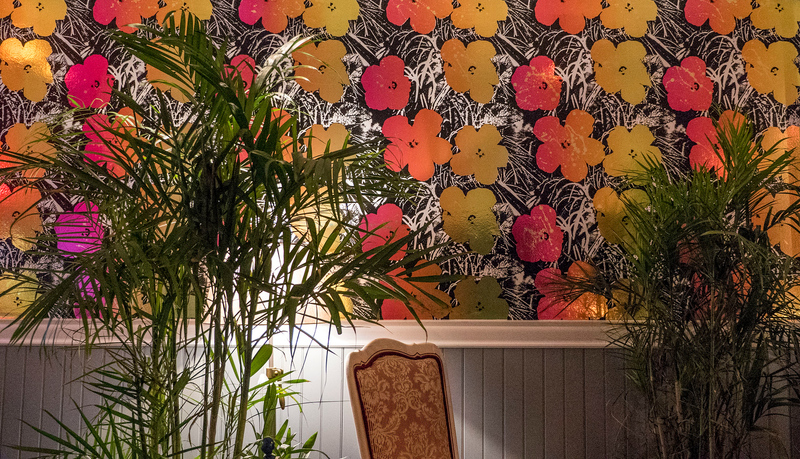 Angelica Tea Room is a beautifully decorated bar with an assortment of interestingly named beverages. 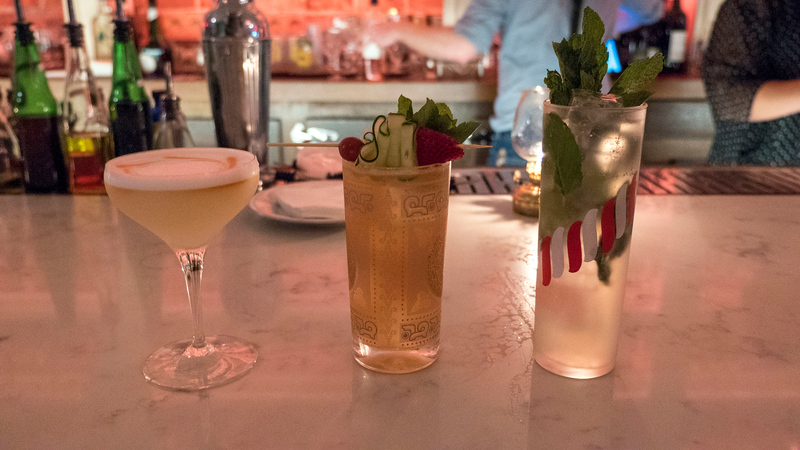 Want to order drinks called, “Death in the Afternoon”, “Corpse Reviver #2”, and “Last Word”? This is the place to do it! The drinks are visually stunning. Some of them date back to the Prohibition Era. 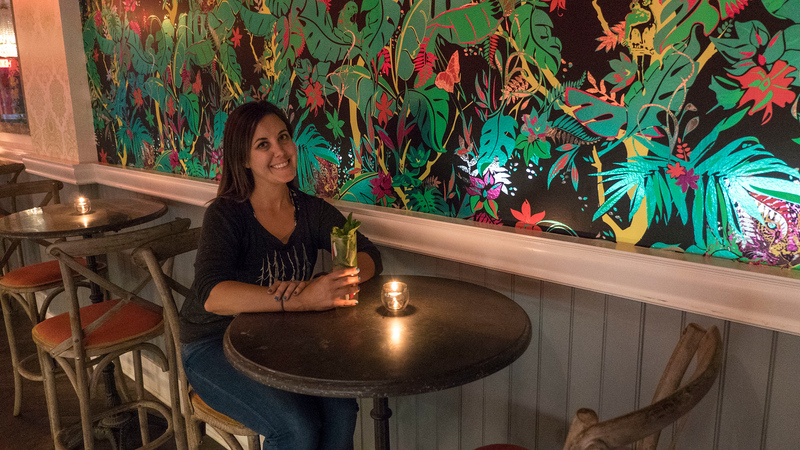 It’s a very laid back cocktail bar where you can sip a beverage and enjoy great conversations with your pals. While I’m not one to typically spend my limited time in a city wandering through museums, I highly recommend that you check out these two art museums in Buffalo. 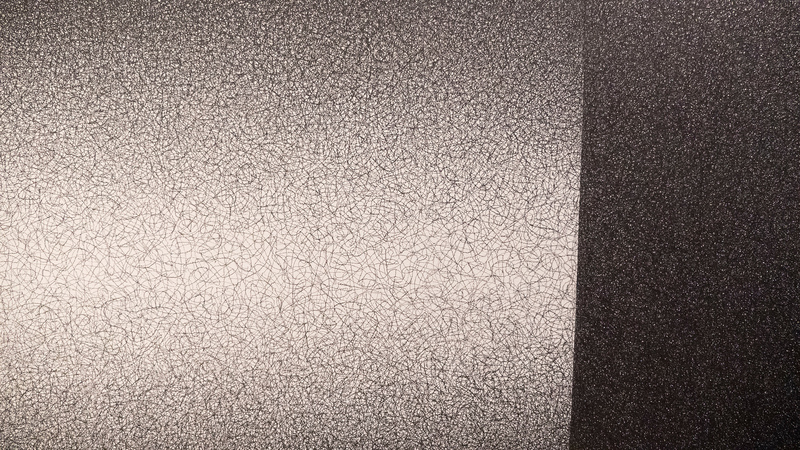 They both display modern art in two completely different and intriguing ways. And they’re right across the street from one another, so you can easily spend an afternoon exploring both of them. If murals and street art is more your style, check out our guide to street art in Buffalo and Niagara Falls, NY. 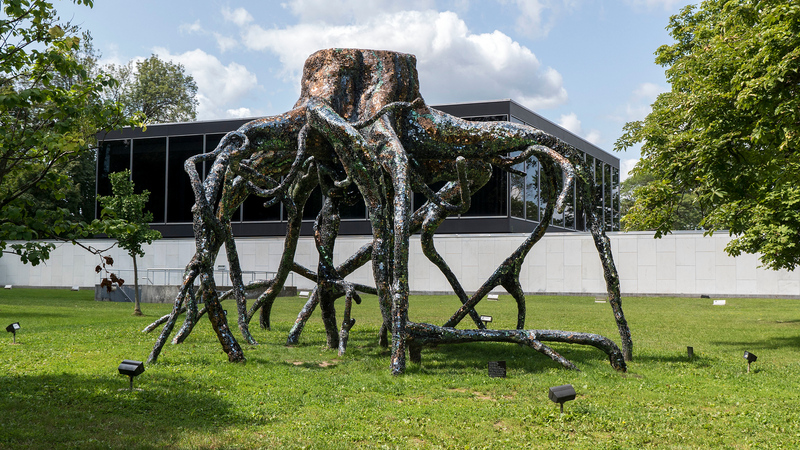 The Burchfield Penney Art Center is a beautiful museum showcasing the works of artists hailing from Western New York. 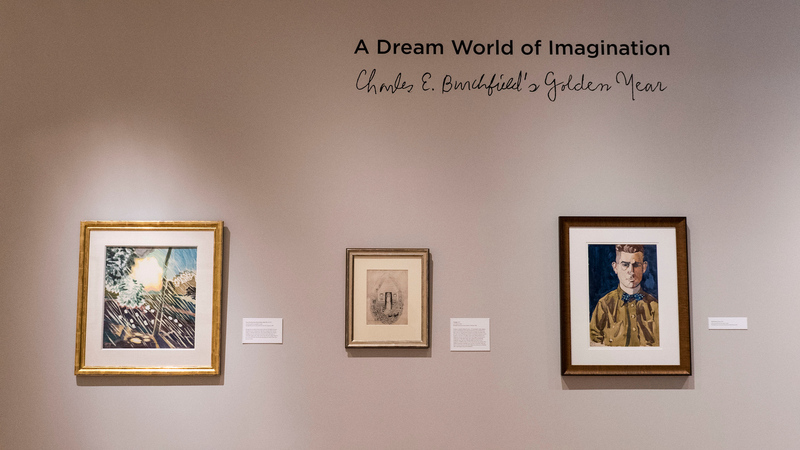 This includes the largest collection of art by famed artist, Charles E. Burchfield. 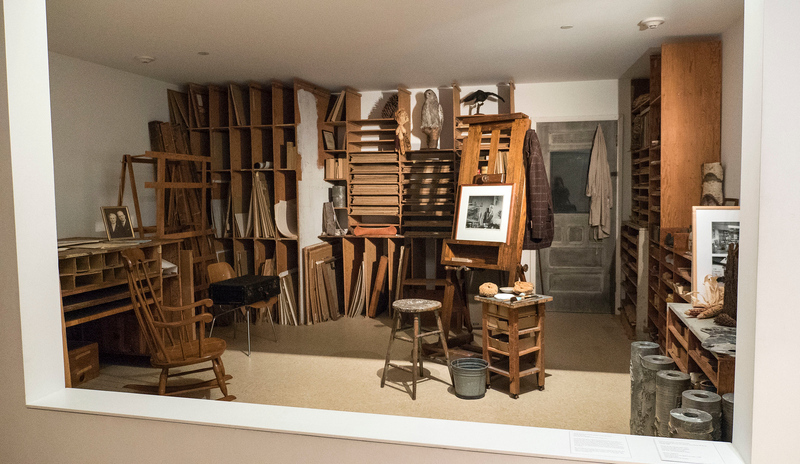 Highlights include works in the Charles E. Burchfield Rotunda, and a recreation of his personal studio. In addition to the permanent collection, there are rotating special exhibitions. 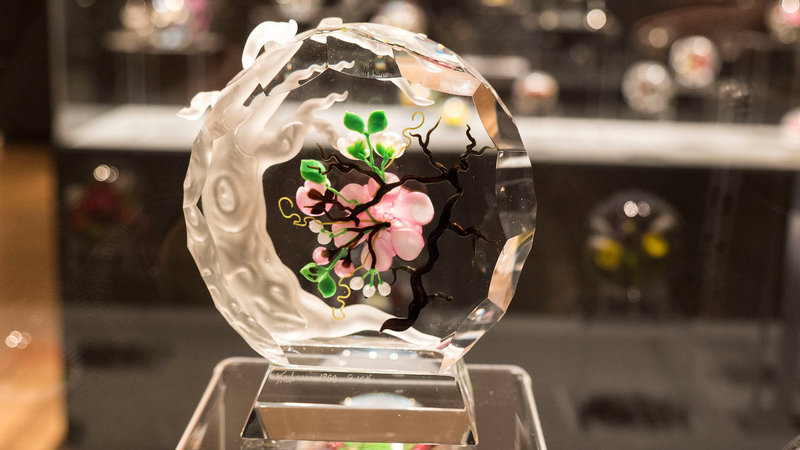 When we visited, one exhibition was the vast collection of artist Victor Trabucco’s glass paperweights called Glass Within Glass: The Magic of the Trabucco Studio. Another original exhibition we adored was Michael Bosworth’s The House Has Gone Down and the Lamps Are Out. It took place in a darkened room, surrounded by four video screens. 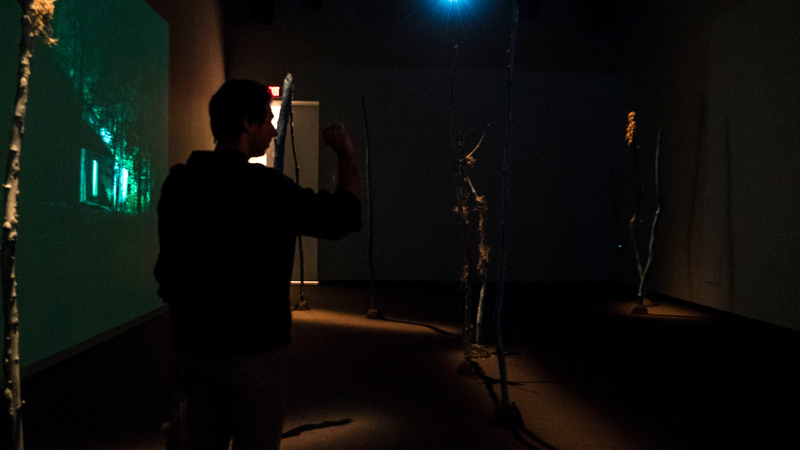 There were a few tree branches, symbolizing trees in the middle of the room. In a seemingly random pattern, stop motion imagery of a house in the forest at night rotated around the screens. It had a vibe akin to the third season of Twin Peaks, and was unsettling to say the least. Check this one out while you can! 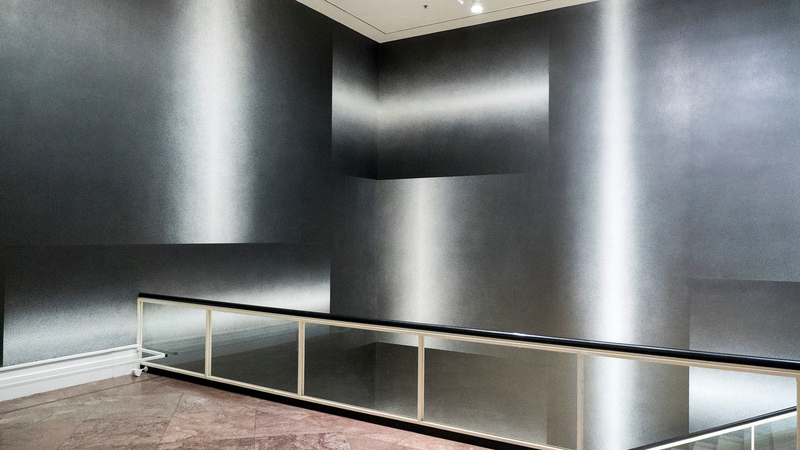 Across the street, the Albright-Knox Art Gallery features an extraordinary collection of contemporary and modern art. You’ll find works spanning decades at the museum, covering movements like Impressionism, Cubism, Surrealism, Abstract Expressionism, Pop Art, and contemporary art of the 21st century. Even as you walk up the stairs to the second floor, the hallway serves as a gigantic work of art. From afar, it looks like a gray wall. Up close, you’ll see tons and tons of tiny hand drawn squiggly lines. Surrounding the museum, there are outdoor sculptures that anyone can view on their own. 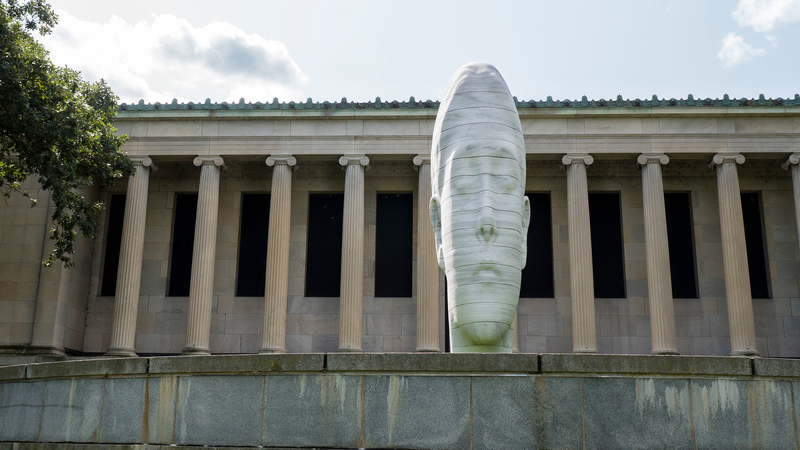 Whether you venture inside the museum or not, you can walk around the property and explore almost 20 unique sculptures. 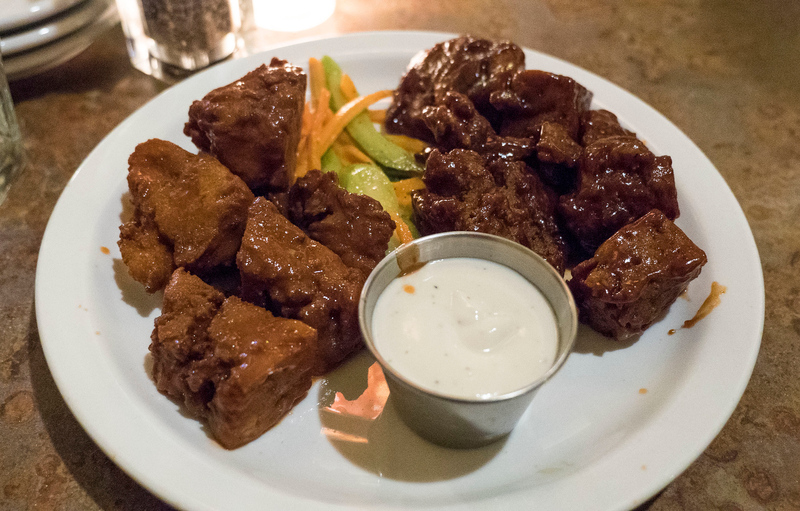 Marble and Rye uses high quality ingredients to create new and exciting dishes. 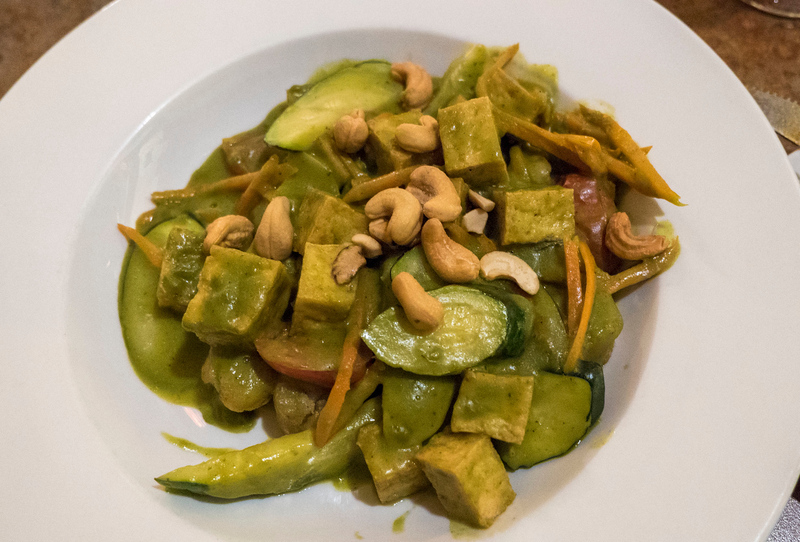 There are a few vegan items on the regular menu, and the chef omitted dairy from a pasta dish to make it vegan. I ordered a falafel dish with hummus, pickles, herbs, spices, and toast. 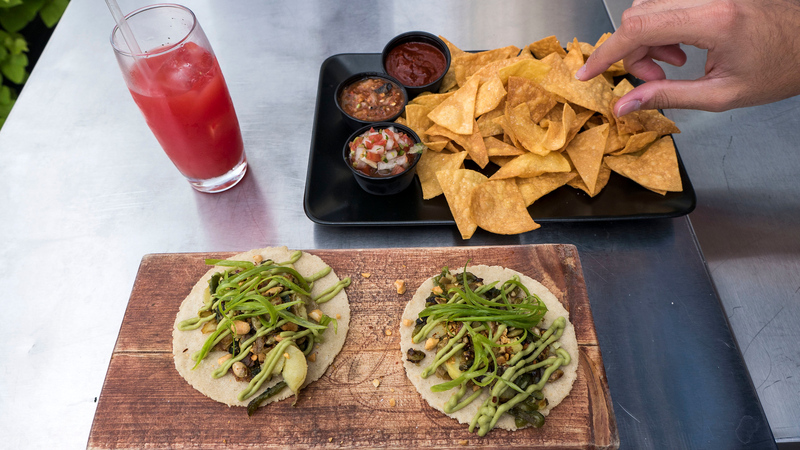 Casa Azul is a local Mexican restaurant, featuring delicious tacos. There are a couple of vegetarian tacos that are easily made vegan. I ordered two of the potato poblano tacos, and split an order of nachos with salsa. Yum! 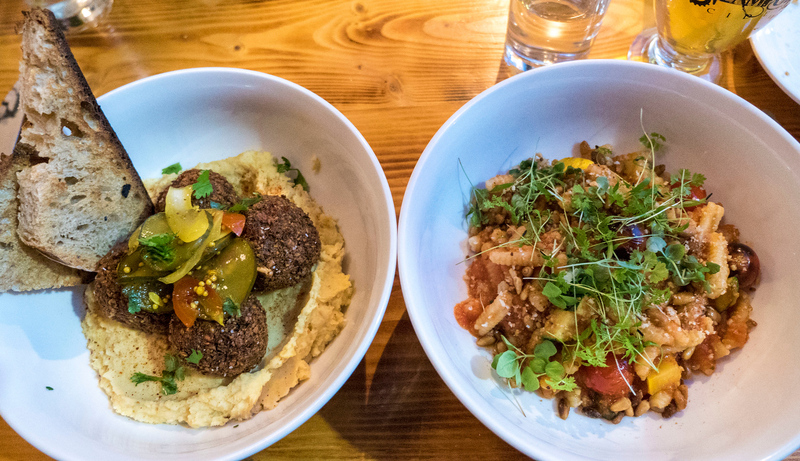 Merge is a super vegan-friendly restaurant with many meal, dessert, and drink options. They’re all clearly marked on the menu. The chef sources locally grown ingredients, and the restaurant believes strongly in the “farm to table” philosophy. Merge’s mission is to unite music, the arts, nutrition, and wellness all under one roof. They support the arts community with monthly shows. Furthermore, there’s a large blackboard hallway where guests can unleash their artistic spirit. I ordered their seitan wings, the gnocchi, and a vegan butterbeer drink (inspired by Harry Potter!). 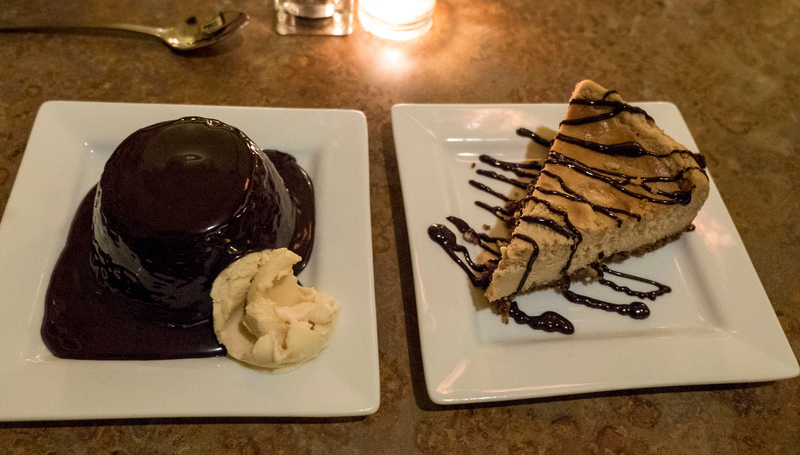 For dessert, we split two slices of cake: the peanut butter cheesecake and the chocolate cake. Everything was super yummy and full of flavor. We’ll have to return to try some other items off the menu. 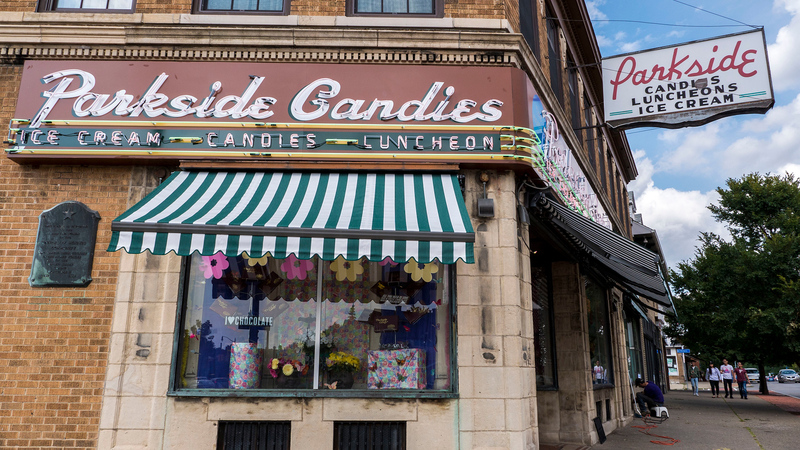 Ashker’s has a few locations, and we went to Ashker’s on Elmwood for breakfast. 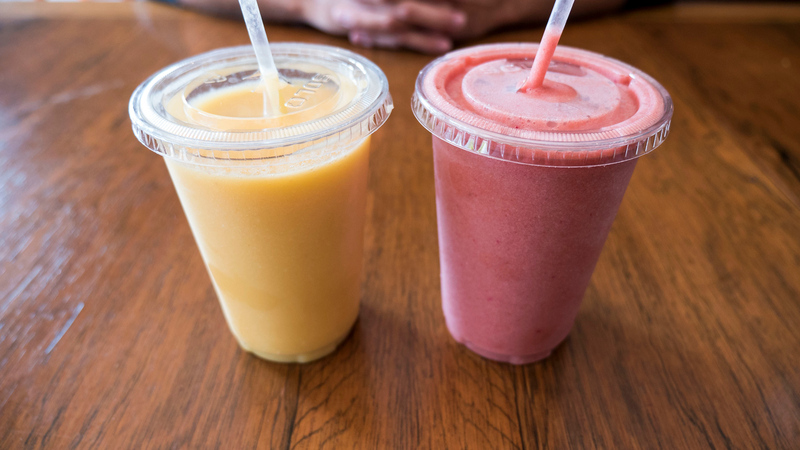 It’s a juice and smoothie bar with healthy food options. For breakfast, there weren’t too many vegan food choices, so I had a bagel with peanut butter. I also enjoyed a pina colada smoothie. For lunch options, it looks as though many vegetarian choices can be made vegan by removing the dairy products. Breadhive is a worker cooperative, entirely owned by the employees. The bread, bagels, and pretzels are produced using locally milled flour, with a long ferment sourdough process. 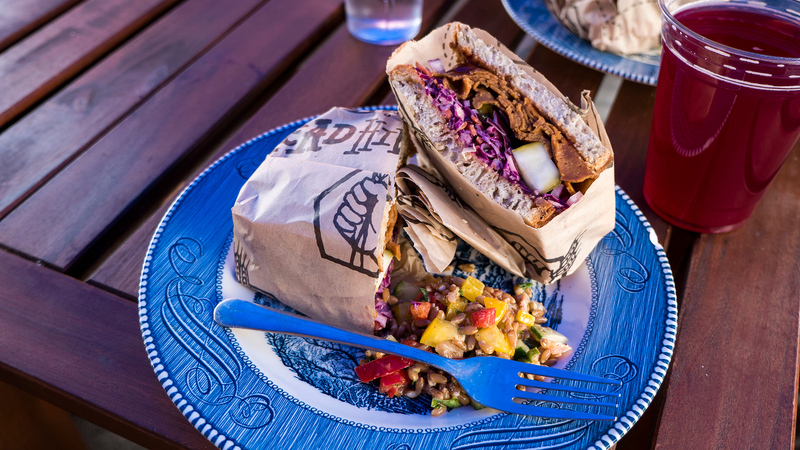 There are a few vegan sandwiches, clearly marked on the menu. I tried the “Dolly” – seitan, onion, BBQ sauce, pickles and coleslaw. There were also vegan cookies; naturally, I had to try one for dessert. Kombucha is on tap there, too. 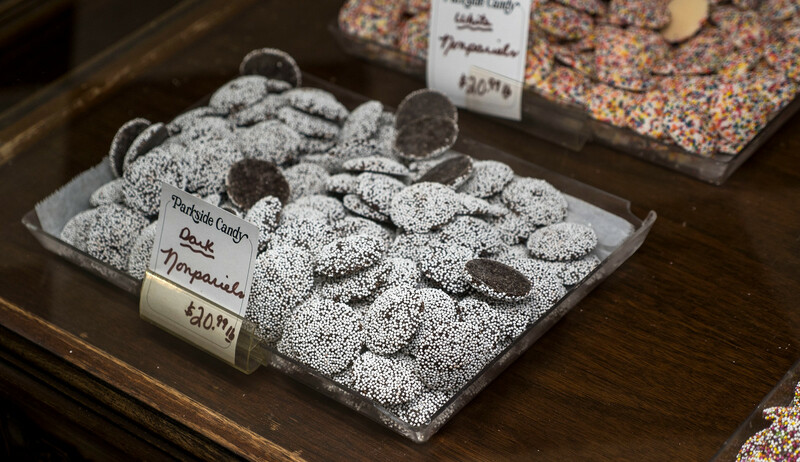 Yes, Parkside Candy is a candy and chocolate shop, but you’ll be able to find a few vegan chocolates there. The dark chocolate peanut butter cups, dark chocolate peanut clusters, and dark chocolate nonpariels are all dairy-free and super tasty. 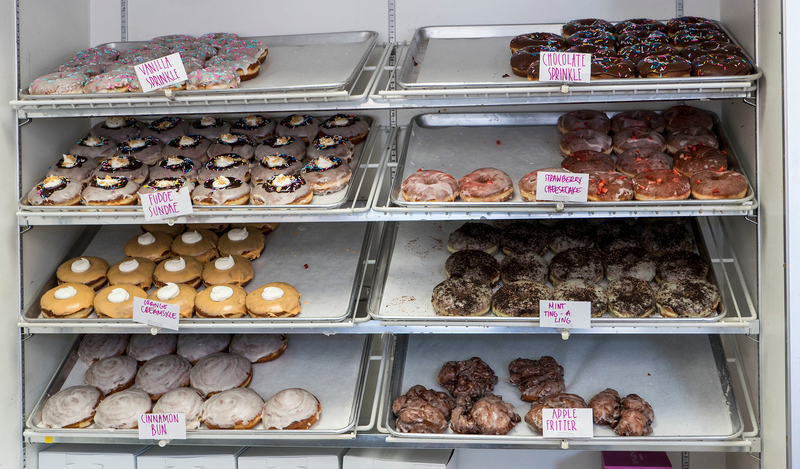 Buffalo has an all vegan donut shop called Fry Baby Donuts. It’s pretty hyped and for excellent reason – they’re super tasty. You can’t tell the difference between these donuts and ones containing animal products. Fry Baby Donuts has several flavors. We sampled the fudge sundae donut, the chocolate sprinkle, and the apple fritter. 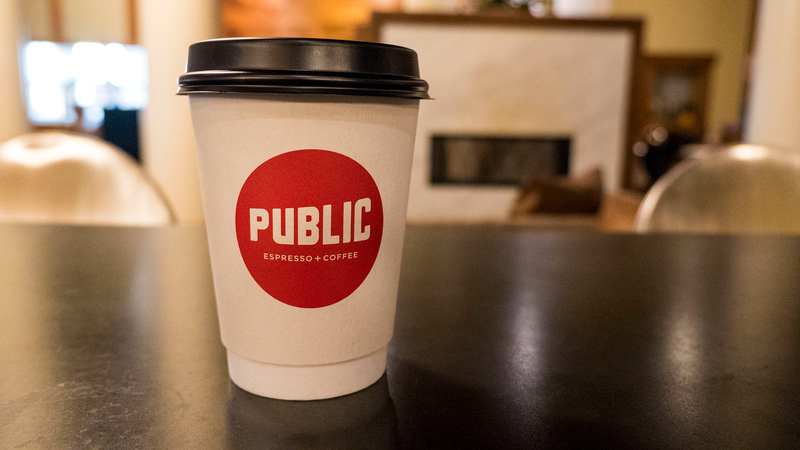 Public Espresso & Coffee is one of the best places to go for a cup of coffee in Buffalo. It’s in the Lafayette Hotel, and there are even a couple of vegan options for food. Their bagels are vegan, and you can order them with peanut butter or jam. 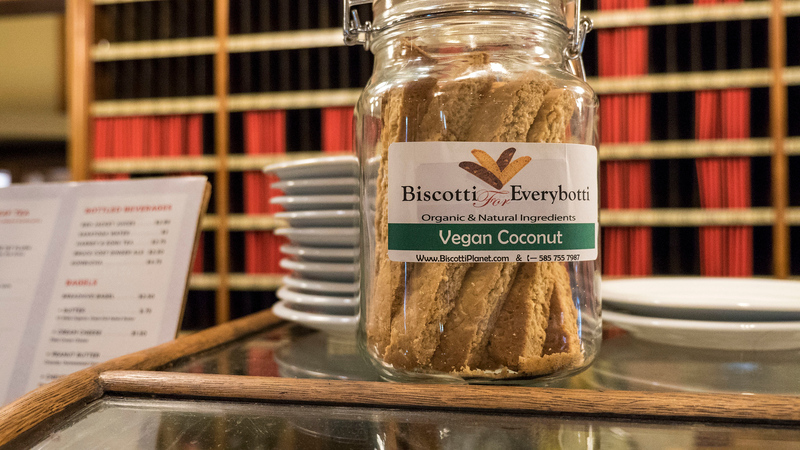 There’s also vegan biscotti on the top counter, which was pretty exciting because vegan biscotti is a little tougher to find! While there are several spectacular hotels and accommodations in Buffalo, here are two that we’ve personally stayed in and highly recommend. 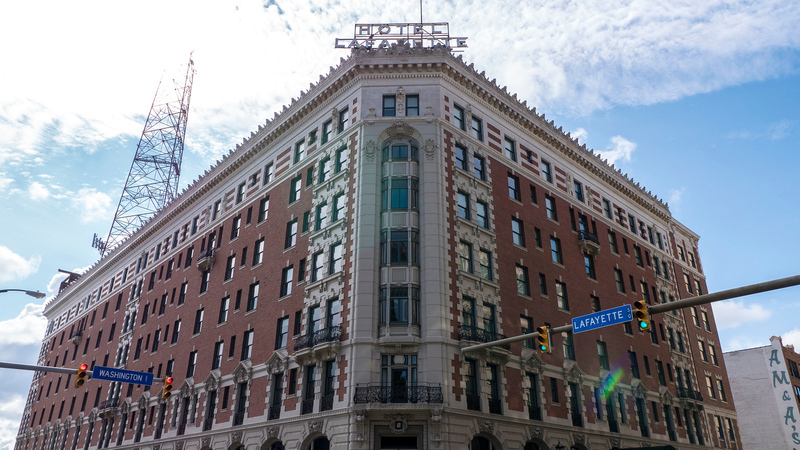 Located right in downtown Buffalo, the Curtiss Hotel is within a historic landmark – the Harlow C. Curtiss building. It’s a very luxurious experience with high tech rooms – even the toilet comes with a remote control! 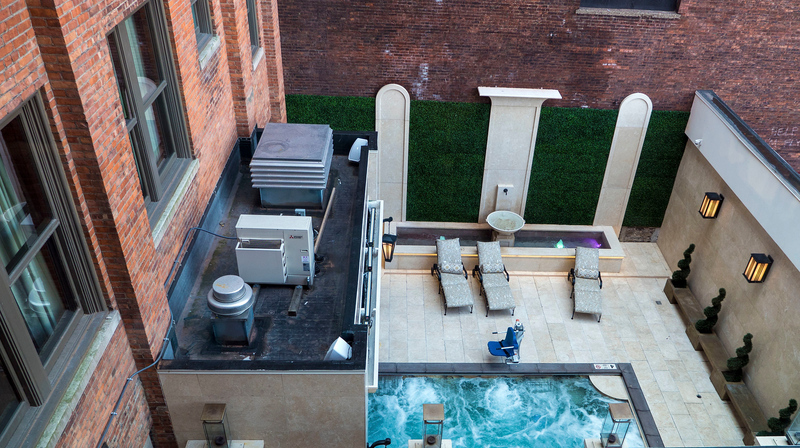 It’s home to Buffalo’s only year round urban hot springs. With free Wi-Fi and a rooftop lounge with epic views of the city, you might not even want to leave the hotel. 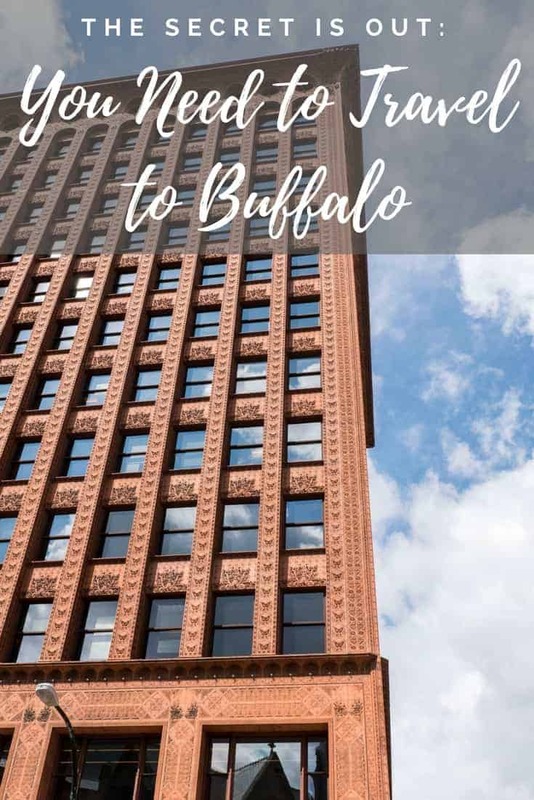 Book your stay at the Curtiss Hotel when you travel to Buffalo (check out more photos and read reviews by trusted travellers here). 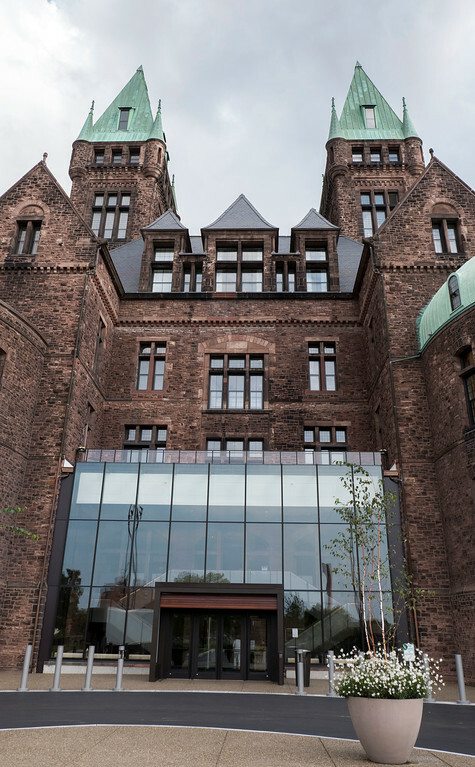 Formerly the Buffalo State Asylum for the Insane, Hotel Henry has completely transformed the interior of this historic landmark into a boutique hotel. 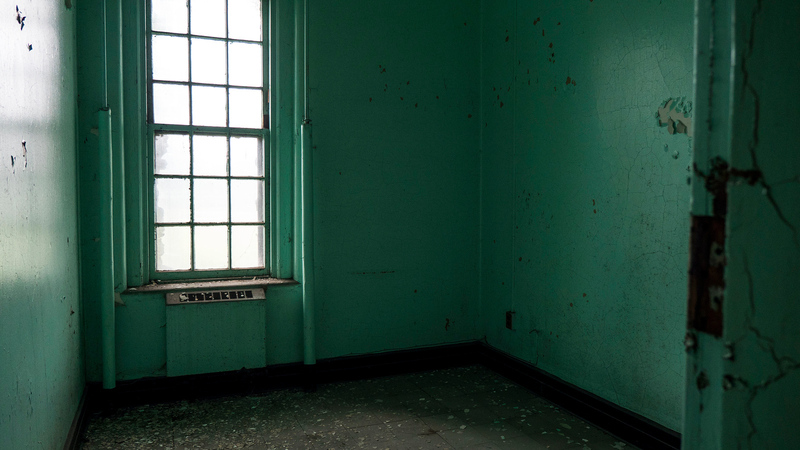 It’s not every day you can say that you slept in an insane asylum. 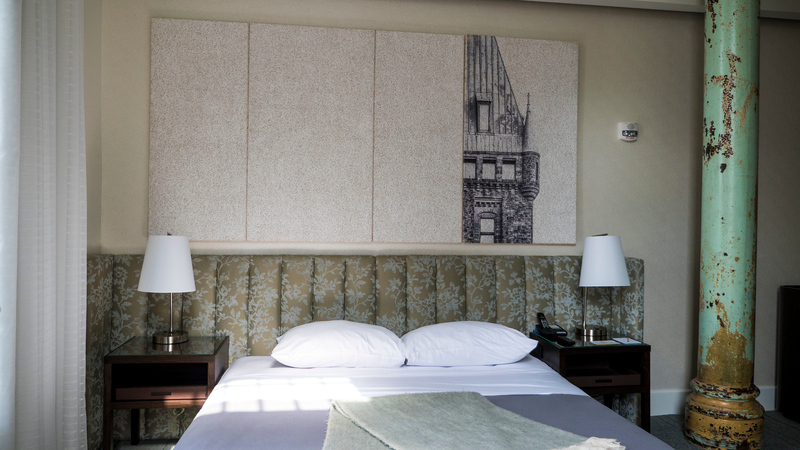 While the building itself can appear quite menacing, the design and decor of the hotel is chic and elegant. With numerous restaurants, bars, and public seating areas, it’s an excellent event or gathering space. The rooms are modern, while maintaining the original structure of the building (our room had a pillar going through it, which added to its character). 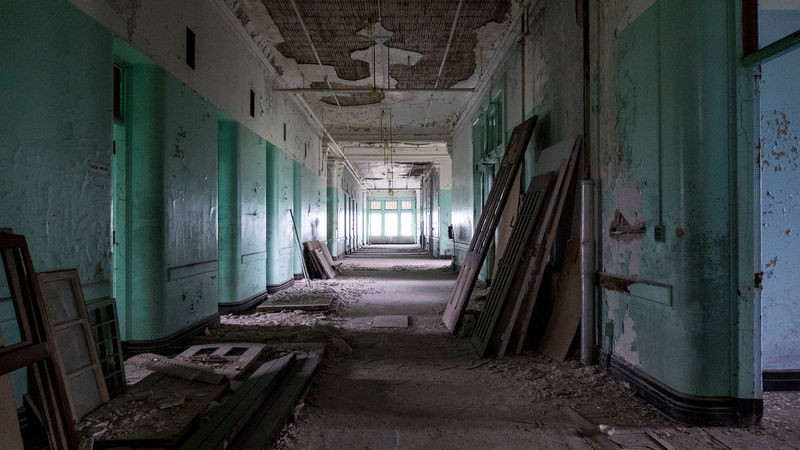 Through the Richardson Olmstead Campus, we had the thrilling opportunity to take a tour of the untouched and not yet renovated sections of the building. 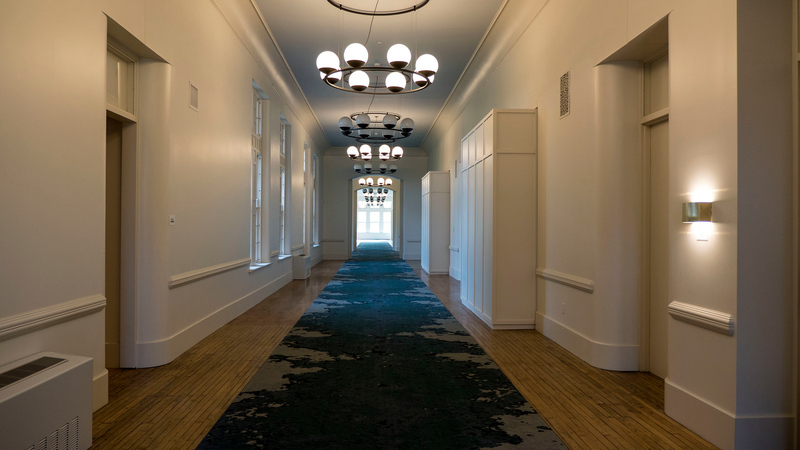 It was very interesting to compare these spaces with the hotel hallways and rooms that are renovated. 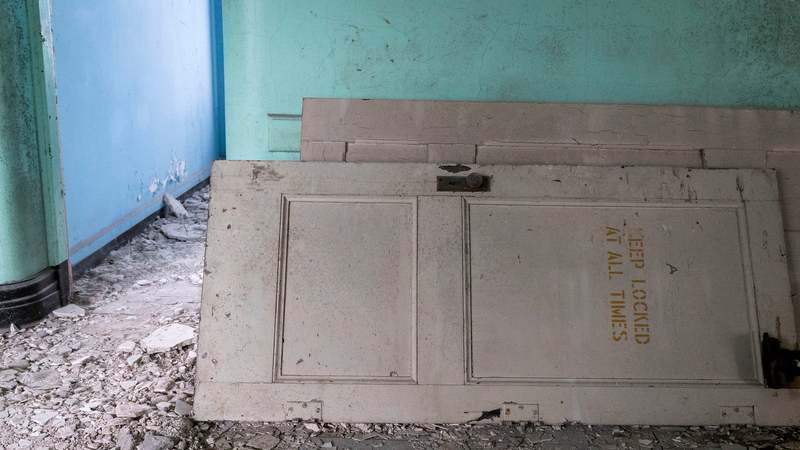 I love exploring abandoned spaces, and these rooms have sat in disrepair for quite some time. 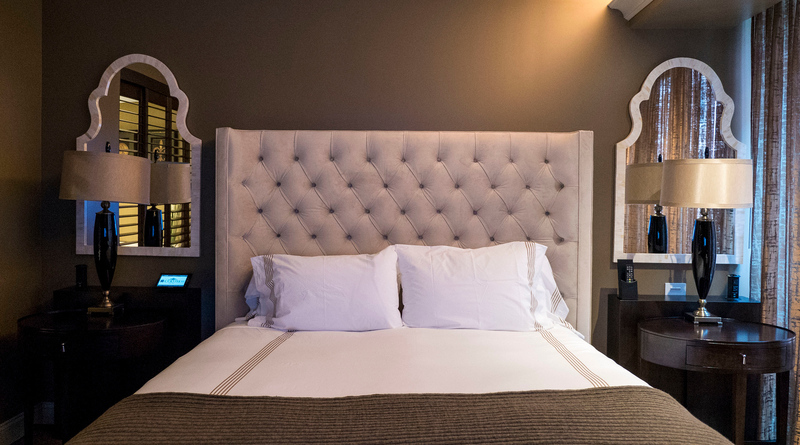 Book your stay at the Hotel Henry Urban Resort Conference Center to sleep in a one of a kind accommodation (check out more photos and read reviews by trusted travellers). UPDATE 09/2018: We’ve stayed at a third property in Buffalo that we think you’ll love! 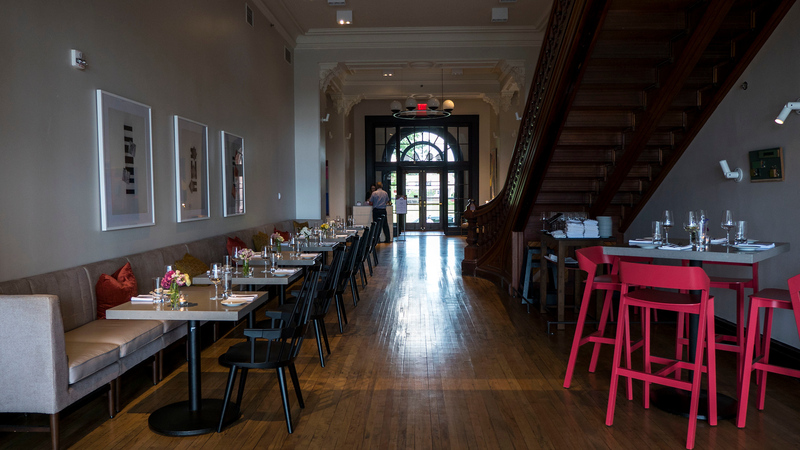 Check out our full review of InnBuffalo, a historic hotel in a mansion dating back to 1898. Well, what are you waiting for? This city has changed so much over the years, and it’s ready for you. Choose a completely original hotel, explore the great outdoors, wander through museums, discover great architecture, taste yummy food and craft beer, and so much more. I’ve only barely scratched the surface of what Buffalo has to offer. Justin and I know that we’ll be back for more, especially considering that we live in nearby Toronto. 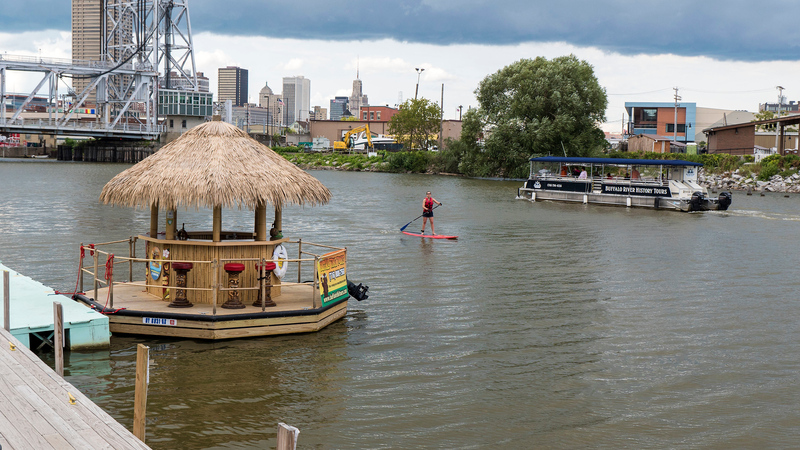 See, I didn’t even mention that you can take a floating tiki bar tour until now! Check out our entire travel photo album from Buffalo, New York. Thanks so much to Visit Buffalo Niagara for hosting our stay. Our opinions, as always, are entirely our own. Wow ! Such a cool post ! You have mentioned quite possibly everything someone probably wants to know. The hotels look gorgeous ! But i would like to know more about foods and transportation system/availability inside Buffalo ! And this is my last post about a review of a best truck bed tent for travel lovers ! Please check out this ! I would be very happy. This might help some travel lovers! See here….. ! I’ll be writing more about food soon – stay tuned! Transportation – there is a light rail that I believe is free. I’m not an expert on the transit there because we drove around in a car the whole time. I feel like the city most likely has uber, too. I’m a Buffalo native, and I have to say, this is the best curated article on things to do in my favorite city. Thanks for sharing. Oh, as a Dutch person I am completely obsessed with that waterbike. I want to try it! Buffalo looks great! Many years ago we would travel from Cleveland to Toronto and bypass Buffalo. 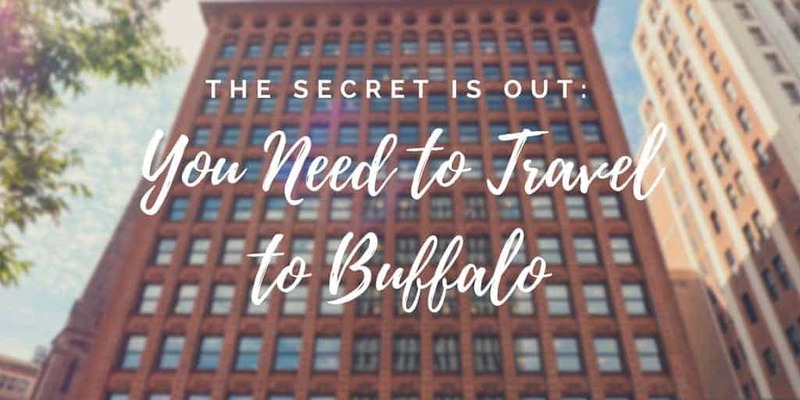 But I’ve heard that Buffalo has had quite a renaissance lately – and your article proves that. I’m going to have to visit the next time we are up that way! Thanks for the great article on my city! I think you may have missed some gems while you were there. Try to visit restaurants and bars on elmwood, sheas theater, pearl street grill or the chocolate bar downtown. Things like devils hole, the roycroft, Ebenezers alehouse, taffys, vidlers, and the galleria are also great axillary locations to the city. And don’t forget things like niagara stadium (or whoever owns it now) , Dunn tire park, and ralph wilson stadium which are some of the heart locations to us buffalonians. Oh, for sure! We were there for 2 nights and I know there’s a lot more to be explored :) We still need to come back down for a few more days! Dying to walk around Elmwood more. Wow! Thanks for completely removing my childhood memories of Buffalo. I left there in 1965 and headed to Arizona. When I was young, I remember Buffalo and Niagara Falls as smelling of countless chemical companies. After reading your review I’m going back for at least an extended visit. Thanks so much. This made my day. Brian, that’s amazing! It’s safe to say that a LOT has changed since the 60s. You might not even recognize parts of the city anymore. There’s so much to see and do, and I’m glad that I’ve helped to remove the negative stigma for you surrounding the city. Let me know what you think! I’m a foodie and I’m a Explorer , i eat a lot, explore many things and here whole frame looks gorgeous….each and every food items are just yummy thanks for sharing it will so helpful to me..!